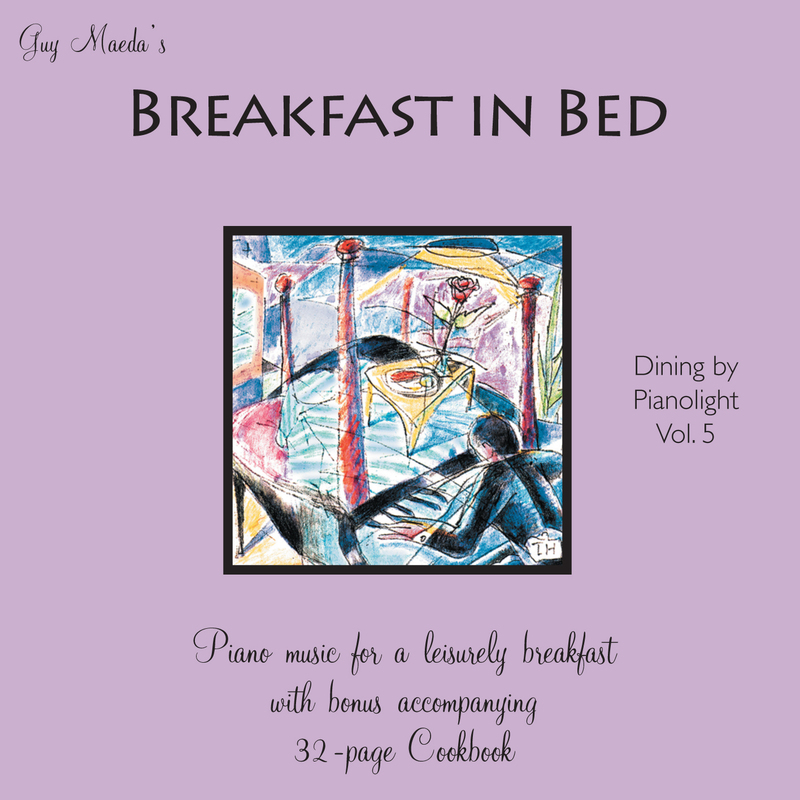 WebOnlyPiano is proud to present our first "boxed set," but without a real box! 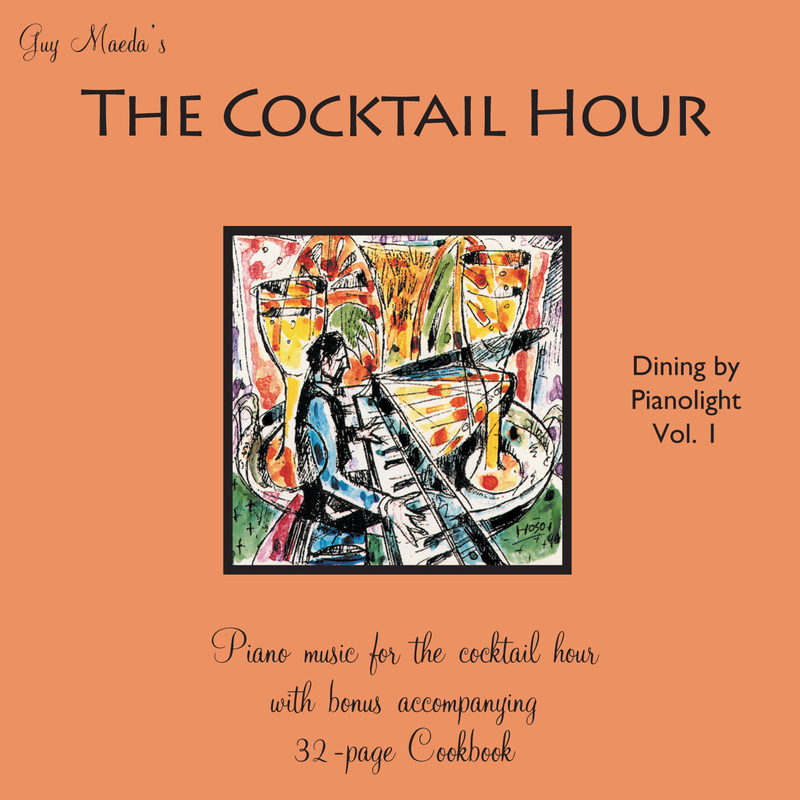 WebOnlyPianolight creates the perfect menu and music solution with a Six Volume Set of Cookbooks and discs! 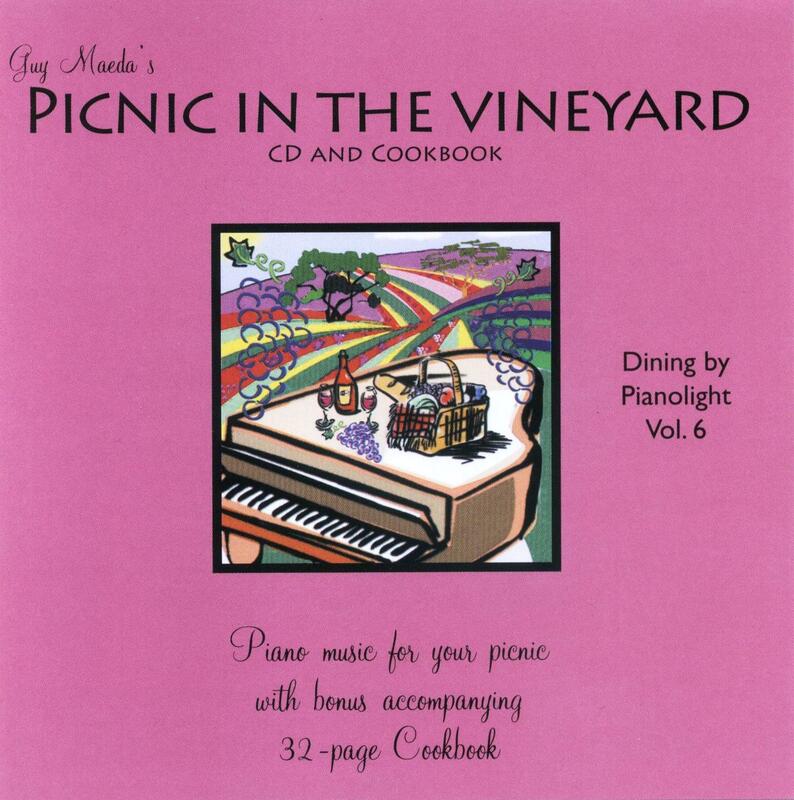 Each 32-page cookbookis filled with 24 tantalizing picnic recipes and a compact or floppy disc for your player piano with background solo piano music of light classics, popular favorites from broadway and the movies, the Great American Songbook, and original compositions, interpreted and performed by Guy Maeda. 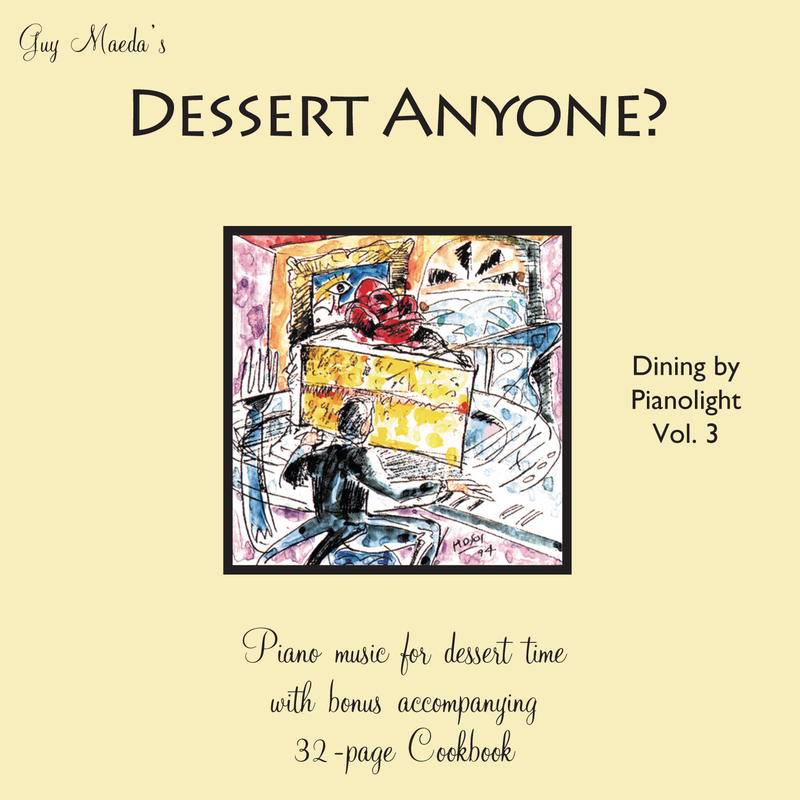 And as with all Pianolight recordings, the music is designed to enhance, not distract your dining and entertaining experience. Dessert Anyone? 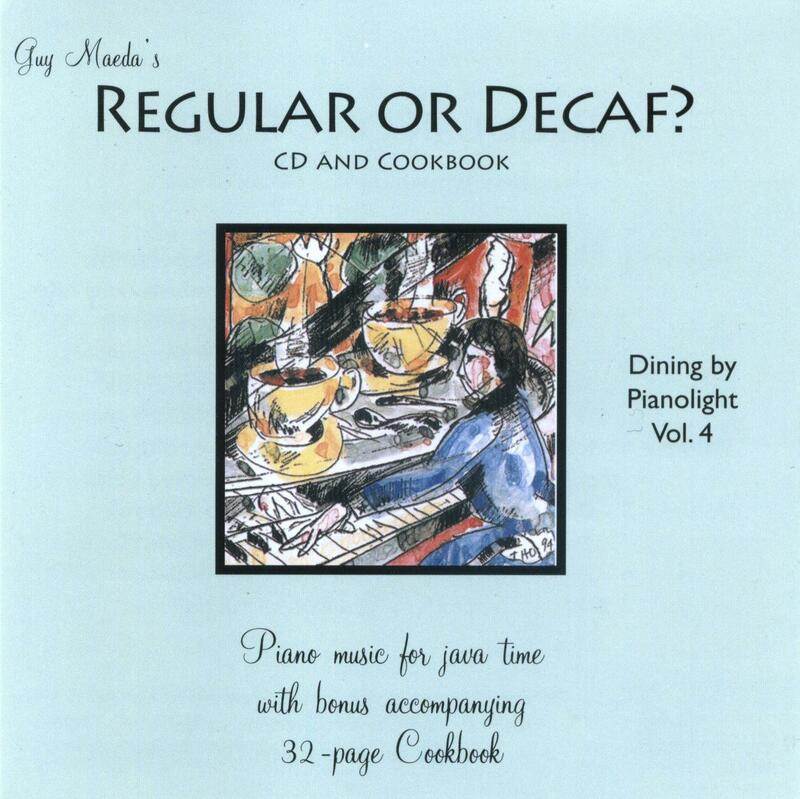 Regular Or Decaf? 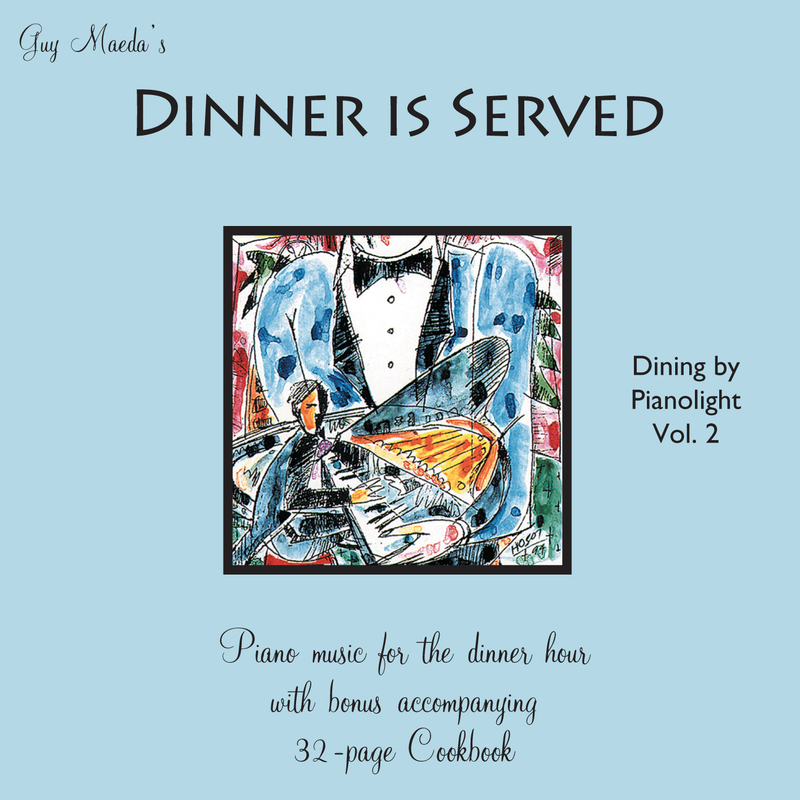 We're now pleased to offer this complete set of beautiful music and mouth-watering cookbooks for only $159.95! That's a savings of $20 -- so get cooking!